Rest in peace, Sheriff Hecker. Thank you for your service. His Mission on Earth was complete.. Each time you look at the Sky and see a shining Star, He is smiling down on you.. Prayers go out to the family and friends for. God's peace and speed Sheriff Hecker. Thank you for your many years of brave, dedicated service. RIP Brother. May the good lord welcome you with open arms, for you have done your job well. Fraternal Order Of Police Lodge #187 Mt. Clemens Michigan. I am so sorry for your loss. My prayers and thoughts are with your family and friends. Another Hero, gone too soon. As it has been said so Elegantly,Heroes NEVER Die! And I Truly Believe in this,because my Daddy just Passed away recently,and HE was my HERO! So I believe there is a special place in Heaven were they go to do Heroic things,and look down on us and smile,and always give us Love when we need it the most! Rest in peace brother. Thoughts are with your family both blue and blood during this difficult time. Thank you for your service, we'll take the watch from here. Reno County Sheriff's Office Hutchinson, Ks. Condolences to family & friends. Our thoughts and prayers go out to your families both blood and blue. Rest in Peace Sir. Thoughts and prayers for Sheriff Hecker's family, friends, and colleagues with the Butler County Sheriff's Office. Dearest family, know you are surrounded with the love and support of so many, some you may not even know. Our hearts and prayers open to your loss. Be comforted as you rest in the arms of God. Much love to you all. From the beginning of time after Cain killed his brother, Abel, there has been a need for law enforcement officers to protect the weak and to bring evildoers to justice. This work is necessary in a sinful world and is dangerous. In modern times, some one hundred and seven law enforcement officers have sacrificed their lives to protect the citizens of the State of Nebraska. Today, we honor the sacrifice of Sheriff Mark A. Hecker, of the Butler County, Nebraska Sheriff's Office; who died in the line-of-duty when he suffered a heart attack on Friday, August 8, 2014 while struggling with a mentally ill subject he was attempting to take into emergency protective custody. His 'End of Watch' occurred on Tuesday, August 12, 2014. Lord God, we are grateful for the life of Sheriff Mark A. Hecker. He died serving us. Help us never to forget. Help us celebrate the life of Sheriff Mark A. Hecker and honor his sacrifice. Be with the family, friends, and colleagues of this fallen hero. Comfort them and give them your strength. Guide those who seek to take care of the family of this hero. May those empowered to do so, care for them with integrity. In commemorating the death of this hero, help those who mourn to remember that death is not the end. Death does not have the final say, but is simply the transition to the glorious life to come. They should look forward to that life to come with joy and thanksgiving. As for the citizens of Butler County, Nebraska, help them to faithfully equip their law enforcement officers with the best tools to protect their county. May their training be adequate to the task. Help the citizens of Butler County, Nebraska, to remember to pay their law enforcement officers fairly and treat them with respect. Help the citizens of Butler County, Nebraska, to obey the law and treat each other with dignity so as not to add to the burden of crime and pain to their county. The time for mourning will soon pass. We have now remembered and celebrated the life lost in this great tragedy. As the family, friends, and colleagues of Sheriff Mark A. Hecker go forward, they must celebrate the good things in their lives; and to celebrate life itself! Finally, Lord God, we pray for the families, friends, and colleagues of all the law enforcement officers who have been killed in the line-of-duty and we thank you for their sacrifices. Bless the lives of their families, friends, and colleagues so they might find healing. Help their law enforcement organizations support the families of these fallen heroes. Even though their deaths might have been senseless, make something good come out of these situations so that their law enforcement organizations and the communities in which they lived and served might be stronger because of their lives and their deaths. Lord God, hear our prayers. Now, may the Lord bless you, and keep you: the Lord make His face to shine upon you, and be gracious unto you: the Lord lift up His countenance upon you, and give you peace. Amen. Thank you Officer Hecker for your many years of serving and protecting your community. My thoughts are with your family. To the family of Sheriff Mark Hecker, friends, Deputy Sheriff Marcus Siebken and the Butler County Sheriff's Office. You are in my thoughts and prayers. May God comfort and hold you close now and always. Thank you for your service. 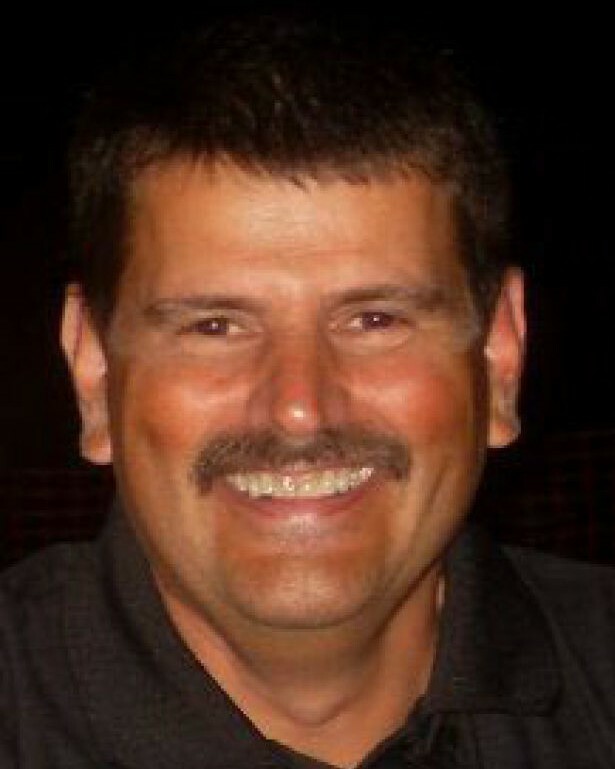 Sheriff Hecker was a relatively young man at 53, yet he passed away due to a heart attack. I would like to ask all of my brothers and sisters out there wearing badges to pay attention to any potential warning sign and get assistance as soon as you think somewthing might be amiss. The stress of this job is what is so potentially dangerous, not the age of the officer involved. Let's use Sheriff Hecker's LODD as a constant reminder to us all that there are more than just the 2-legged threats out there. God Bless guys-stay safe and my most heartfelt condolences to Mark Hecker's family and fellow officers. May you forever, rest in peace, my brother. Standing at attention in their class “A“uniforms, badges gleaming and shoes like glass, are your brothers and sisters of Law Enforcement. All of whom have previously paid the ultimate price. My thoughts and prayers are with Sheriff Hecker's family and his Brothers and Sisters in Blue. Rest in peace. Rest in Peace Sheriff Hecker. Thank you for your service. My thoughts and Prayers go out to your family, co-workers, and friends. R.I.P. Brother, our sorrow we share with your loving family and friends.